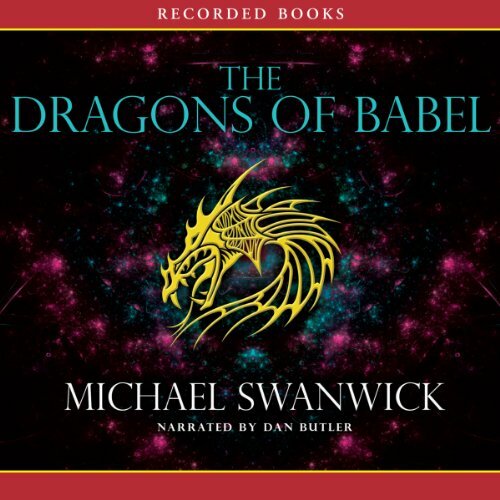 Winner of five Hugo Awards, Michael Swanwick is an icon within the fantasy community. In The Dragons of Babel he effortlessly blends magical elements and post-industrial atmosphere to craft a unique and unforgettable tale. When a mechanical war dragon crash lands in his village and declares itself king, Will le Fey is forced to become its lieutenant. Although he eventually breaks his enslavement, Will is banished by the townspeople, who no longer trust him. While he travels, he befriends a superhuman con artist and an immortal girl with no memory. And when the trio winds up in the extraordinary Faerie metropolis of Babel, Will becomes a champion to the tunnel dwellers below the city. In a starred review, Publishers Weekly praises this “heady literary stew” and describes it as “modern fantasy at its finest.” Narrator Dan Butler’s reading captures the full scope of Swanwick’s astonishing epic. Narrative is monotonous and no personality. I was so confused by the end of the first chapter, 'the winged ones' (the kids? the dragons?) The coolest part of this book and we are blindfolded by a stone grandmother whom died in and explosion that did the town no harm?? Are the dragons evil? If so why js the protagonist so in aw of them? Due to my chronic laziness I rarely write reviews, even though I do value customer reviews when browsing. This audio book is exceptional. The plot, content narration and style had me hooked within five minutes. One of those rare finds where I am in no rush to find out what happens in the end, as I am enjoying the evolution of the circumstances our main character Will finds himself in so much. Also, Swanwick very cleverly has the listener constantly modifying his/hers mental picture of the world but in small ways, so we don't feel anything is being directly explained. A risk-free purchase - guaranteed. This book took a little getting into but is worth the effort. A curious mix of fairy tale, little bit of sci-fi and some modern tech. An old story told with a good fresh twist, and the narration was very good too.